In today’s episode, we will discuss what it is like from the perspective of the spouse who remarries a person without children. Pew Research says that about 40% of Americans call someone “step” meaning the true nuclear family has divided and that one or both parents have moved on to a new relationship. Did you know that one of the more famous individuals who married with no children of his own but had 2 stepchildren was George Washington. Now technically his marriage to Martha was his one and only, but it was Martha’s second. She was married to Daniel Custis until his death. She was married to Custis from 17-25. They had 4 children together but only 2 survived to young adulthood – John (Jacky) and Martha (Patsy). Like the Washington’s, one of the spouses may enter a second marriage without children. This can be the result of all sorts of reasons whether it be decisions that were made to not have children, medical issues, or maybe the divorce happened before the couple was ready to have children. If blending families were not difficult enough when one spouse has children and the other does not it can certainly cause even more difficulty in coming together. Interestingly for me in my two marriages, I was a step parent in my first marriage but not in my second marriage. This is of course flipped from what is normal. But then again what is truly normal in a blended family? There are certain things to watch out for when you are the spouse entering into the marriage without taking on additional children. 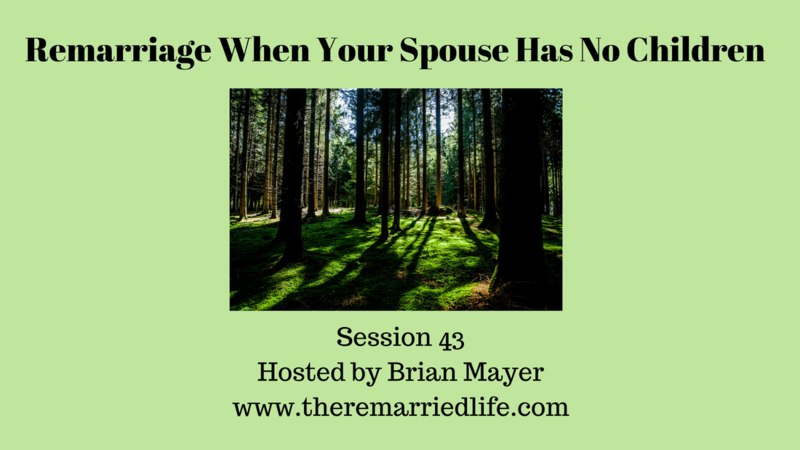 Taking for granted how much easier it is for you than it is for your spouse. This can often cause resentment in the case of both of you, because you can quickly forget how different your spouse has it with this new dynamic. Obviously discipline differences are fraught with all sorts of pitfalls. In some cases, not being unified in how you parent is a major issue. In some cases not discussing who might be the main disciplinarian can be an issue. Some research says that if your children are 6 or older, it will be difficult for them to take discipline from a stepparent. Expecting your spouse and child to bond quickly. Just remember you have had several years and in some cases 14 or 15 years to build a bond with your child. Often your spouse does not have this luxury. Be patient with the upset that your child and spouse may present to you. Not letting your spouse create his/her own unique ways to bond. Sometimes it’s easy to tell your spouse that what he/she is planning won’t fit your child. Let your spouse experiment with activities and things they can do together apart from you. This will help your child and spouse create something special that has meaning only for them. Limiting your expectations will help you keep your sanity. This may sound counterintuitive, because we all want things to work out and work out quickly. However, blended families are often like crock pots (that sometimes get unplugged from time to time!) rather than microwaves. Take things slowly and remember that it can take years for your child and spouse to bond. Your job is not easy certainly in juggling your children’s and your spouse’s feelings. Just remember everyone in this new blended family will struggle. You are all in the foxhole together. Just continue to listen and communicate with each other regularly. Realize that everyone’s reality is valid and work to accept it.